Sorry I haven’t been posting. My son is in town. He is back from Japan and will be here a couple of weeks. WhooHoo! So I have been busy hanging out with him. We spent a couple of days at the Lake with my Uncle Pete and his family last weekend and next week I will get to meet his girlfriend. I am looking forward to that as she seems like a great gal. 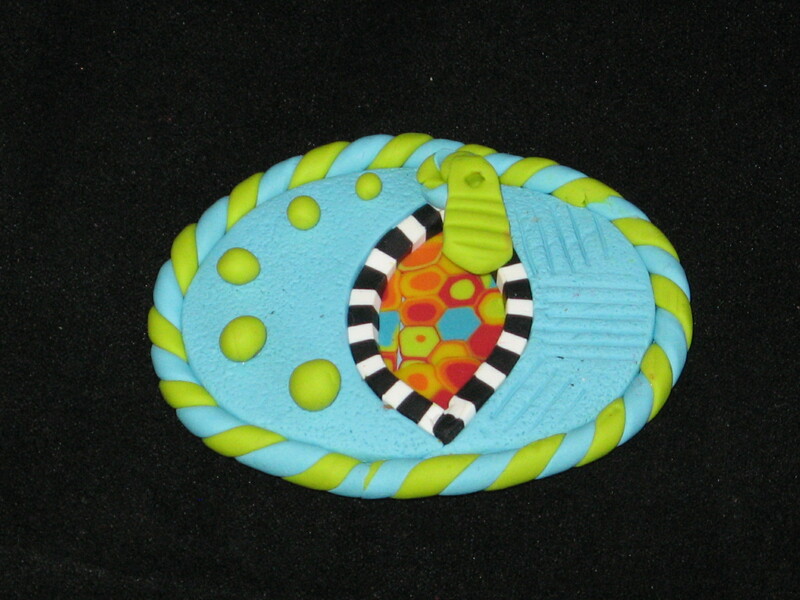 My polymer clay guild is doing a magnet swap and I finally made mine. This is really not my typical style but they are fun. Hope you like them. I got the idea from a website I saw where they had used a real zipper head and black and white for the teeth. I looked through my pinterest but I guess I didn’t pin it to my board. Sorry. I hate not giving credit for inspiration. I am doing a couple more projects so I hope to have some posts for you soon. Hi Wendy. Fabulous work. Have a fantastic time with your son. Oh Thank you Florence. I am having a blast. Thanks for stopping in. Always love to hear from you. Been wanting to try this. How long does it take to do? 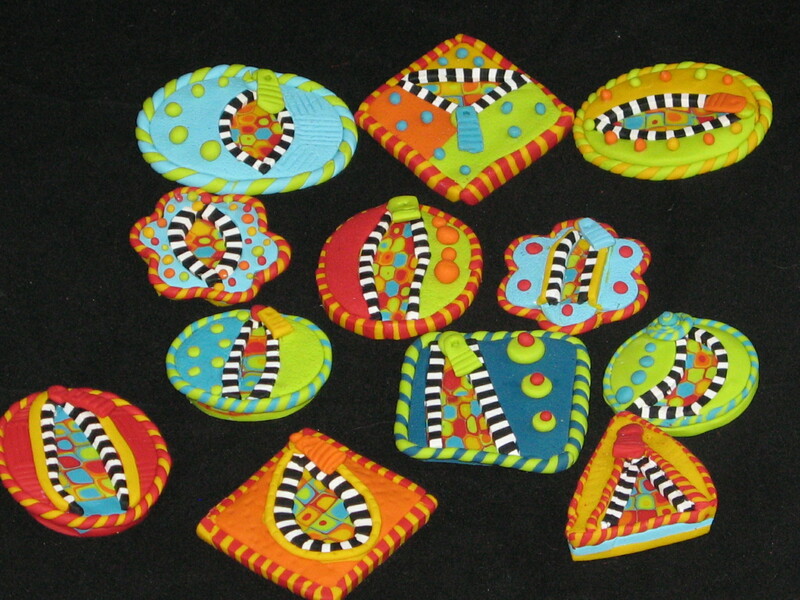 Polymer clay is so much fun. As for how much time it takes.. well it’s like making cards some are quick and some take forever and each person is different. 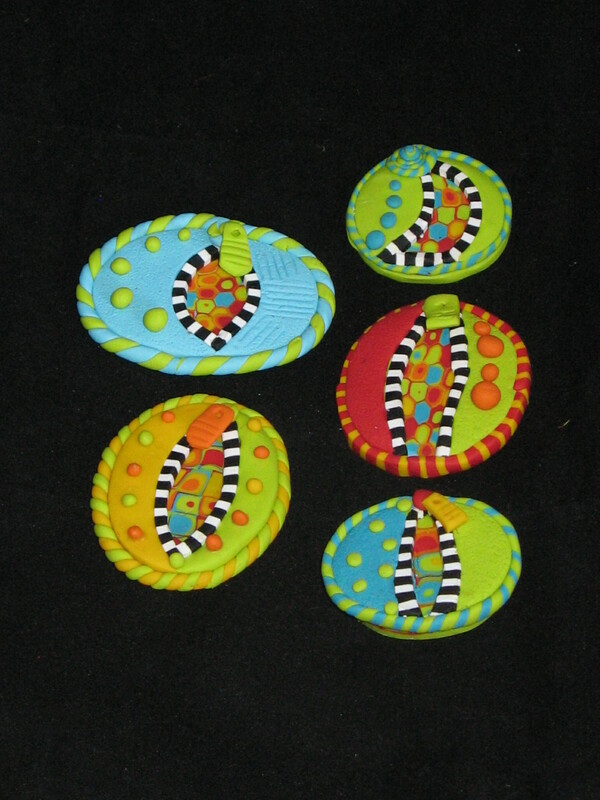 If you are interested, go to google and search for polymer clay guild in whatever city you live in. Most guilds meet once a month and have demos showing you how to do cool things. Also there are tons of polymer clay tutorials on the internet – if you have pinterest -find me I have alot of them that I have saved. Just pick something you want to create and go for it. I recommend Premo or Kato clay. I am here if you have questions.